It seems like I always end up at Celebration around the holidays. Perhaps the fake snow is a draw. Maybe it is the over the top Christmas lights synchronized to music. Whatever causes the magnetism to Disney's planned community at this time of year, food is generally involved in Celebration's downtown. This year's visit to Celebration happened on Christmas Eve and dinner was had at Cafe D'Antonio. Celebration was packed and Cafe D'Antonio was booked solid all night. That is, except for at the bar. I've neglected to try any of the Antonio restaurants in the area until now, so we took those bar seats for our Christmas Eve Italian food. The meal started with a crusty bread dipped in olive oil, and the main course was served fairly quickly. I tried the Pappardelle al Salmone con Piselli e Mascarpone. This consisted of a bowl of wide noodles with salmon and peas in a brandy and mascarpone cheese. Wide noodles, salmon, and mascarpone was a different combination but it was very tasty. I also split a Prosciutto Pizza with someone. The 14" pizza was topped with a thin slices of prosciutto with red onions. 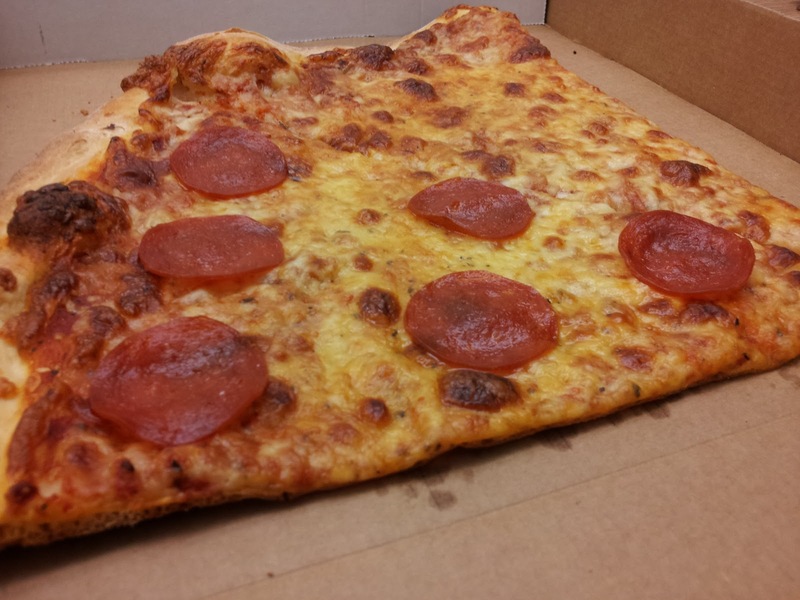 The pizza had a nice, thin crust with a good sauce/cheese ratio. This was a very respectable pizza in the land of theme parks. I had dinner at Miller's Ale House in Boca Raton (or Boca Ale House as the sign outside read). Somehow, I had never been to any of the restaurants in this chain so they were new to me. They had a typical menu for this type of place and I ordered the Seafood Medley. This dish consisted of shrimp, scallops, calamari, mussels, and clams tossed with tomatoes, cheese, and pasta. Overall, the seafood was pretty good with everything tender rather than chewy. Unfortunately, the sauce was very bland though and I ended up adding lots of salt. Although my pasta was good, there were a few things about the restaurant as a whole that seemed a little off. Our waitress seemed to be very distracted and someones salad didn't arrive for a good fifteen minutes after the rest of the table's food was served. I also kept on getting strong whiffs of mothballs. Don't know if it was coming from something in the restaurant or perhaps one of Boca's numerous senior citizens sitting at a nearby table, but regardless, the mothball smell is never a good thing in a restaurant..
Pho Vinh is a Vietnamese restaurant in Orlando. Chinese food was served in this building the last time I was here, and although I was aware it became a Vietnamese restaurant somewhere along the line, I never thought of eating here. That is, until the December Foodspotting Eatup happened at Pho Vinh. Figured this was as good of a reason as any to try a new Vietnamese restaurant. Food bloggers were well represented during the meal with Droolius, Tasty Chomps, Eat Local Orlando, and The Daily City all there, along with other foodies that came to eat. As everyone started to order, it seemed like one of the favorites at the table was the Thap Cam (#100). This soup had a combination of shrimp, pork, krab, fried wontons, egg noodles, and assorted vegetables floating in a big bowl of broth. Unlike a couple of other nearby Vietnamese restaurants that have really bland tasting soups in my opinion, Pho Vinh's soup had a delicious broth. I of course added all of the garnishes served along with the soup to my bowl. Thai basil, cilantro, bean sprouts, jalapenos, and lime juice only made it better! It was my first time at Pho Vinh, but I think I'll definitely be returning. The food was good, prices were affordable and they are friendly to food photography! I know quite a few people who haven't had the privilege to eat at a food truck yet. If you are one of these people, make a point to visit The Food Truck Bazaar at the Fashion Square Mall this Sunday. You will stuff yourself with all sorts of delicious foods and have a good time in the process! Bring chairs, tables, tents. Family friendly. No cost for parking or admission. Fred's Southern Kitchen is a chain of southern buffets in west Florida. I heard that were really good from a couple of people. I probably wouldn't have gone without the recommendation, but I stopped into a Fred's in Bartow for lunch during some of my travels. On my first trip to their buffet, I tried their sausage & onions, various types of beans, rice, fish, and cornbread. The black beans and rice was the best of the plate, but I found everything had an overly salty taste. I was getting kind of full from the first plate of food, but I figured I should get my moneys worth like the large number of scarily obese people eating at Fred's. On the second plate, I tried grits with tomato gravy, macaroni & cheese, fried green tomatoes (labeled as fried zucchini), fried catfish, and mashed potatoes. Again, everything was very salty. I did like the tomato gravy on the grits. I've never seen that combination before, but it was tasty. I tried City Diner in Downtown Orlando on a recent Saturday morning. 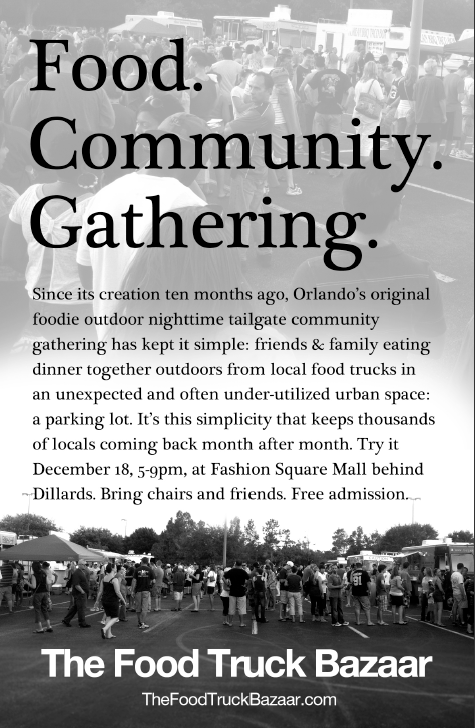 Diners and big cities seem to go hand in hand, but yet Orlando really does seem to be lacking in this department. Knowing nothing about City Diner before deciding to eat there, I was hoping to have a good diner breakfast. On to the food, I had a four cheese omelet. This was a pretty standard omelet filled with lots of cheese. When I eat eggs at restaurants, I personally like when omelets have stuff in them that I wouldn't normally have at home, but the menu here was very basic. Plain, cheese, or meats seemed to be the only options. Wheat toast was served on the side, as was a bowl of cheese grits.